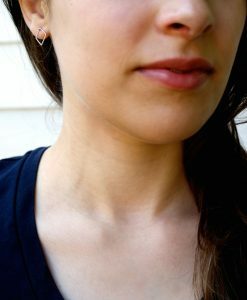 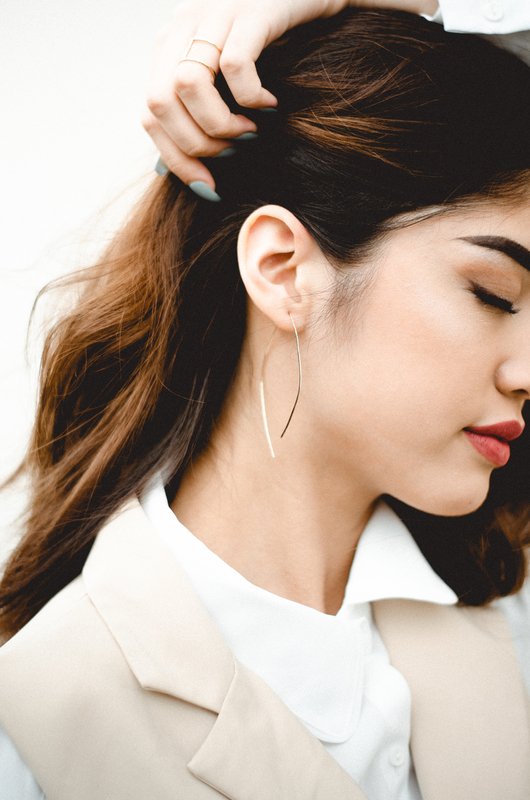 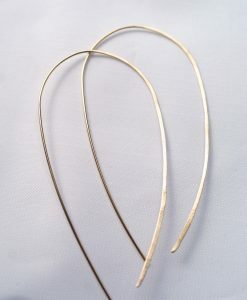 A very flattering leaf-like, teardrop-shaped earring. 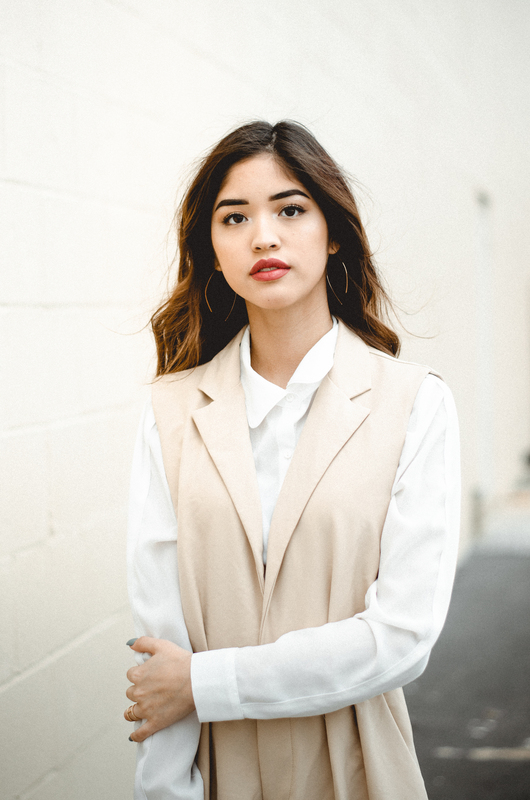 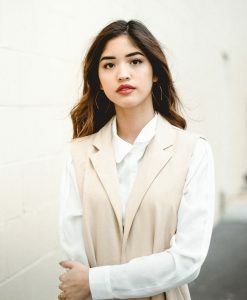 Casual and can be worn every day. 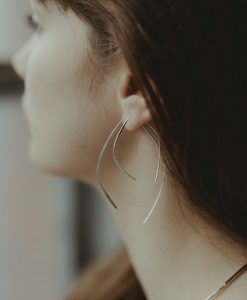 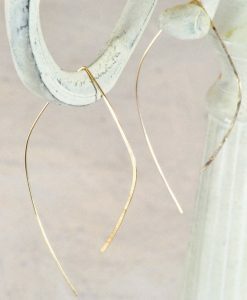 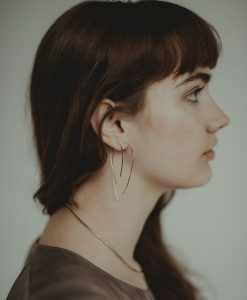 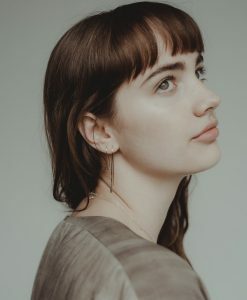 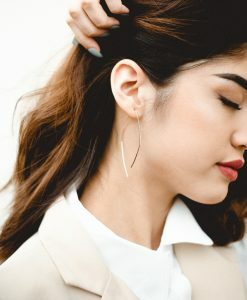 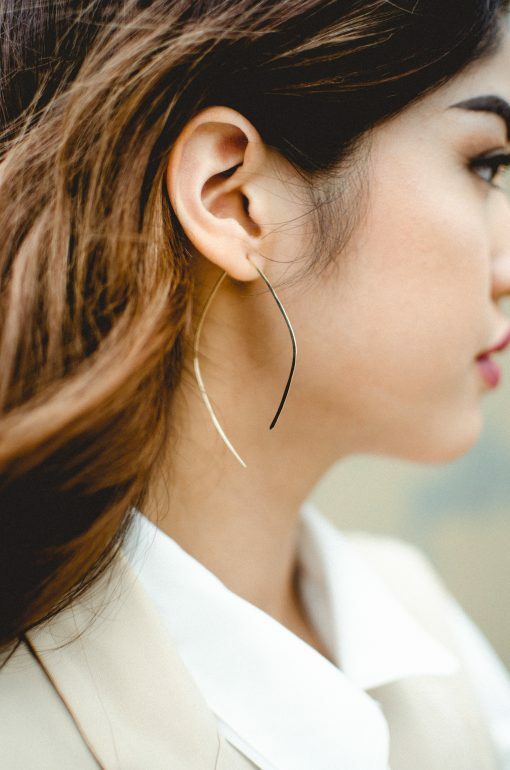 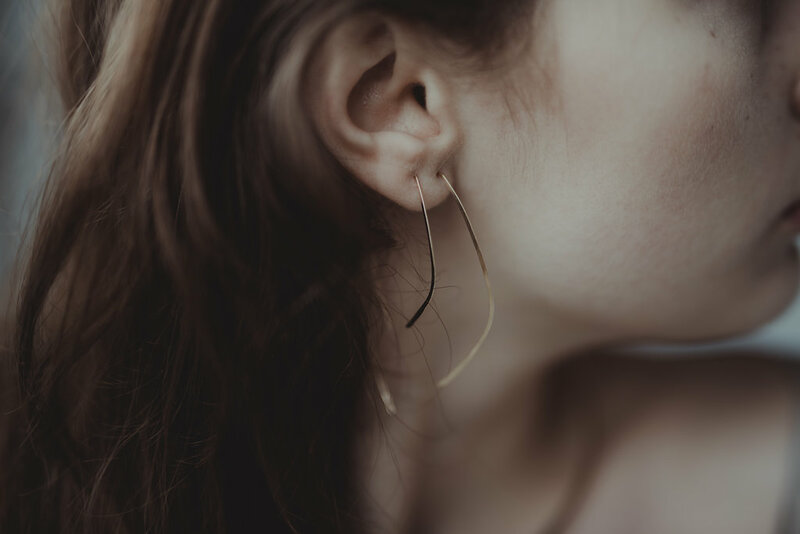 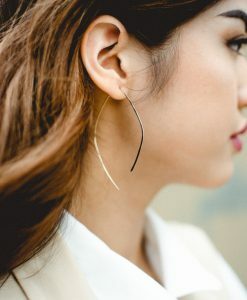 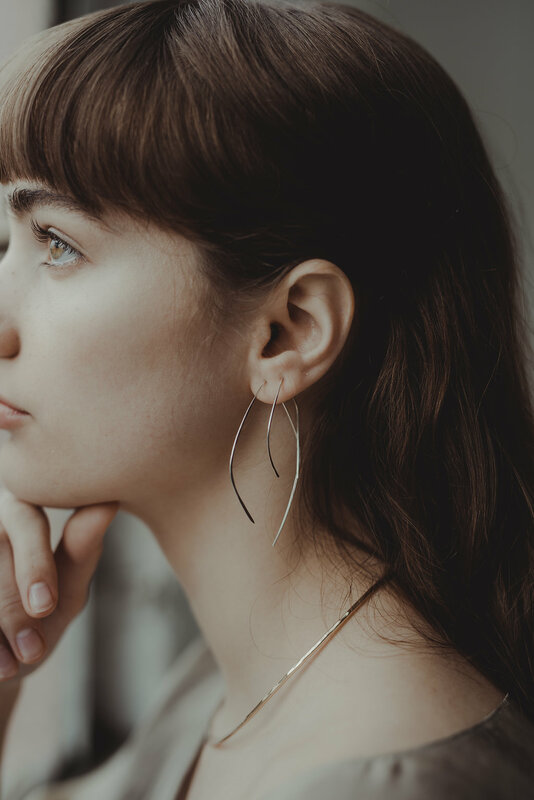 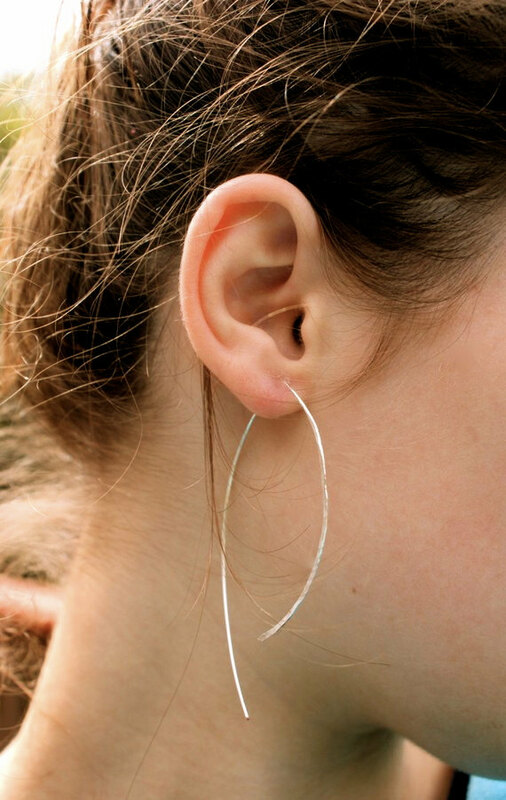 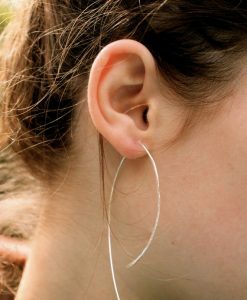 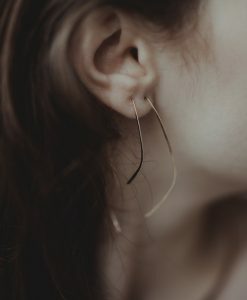 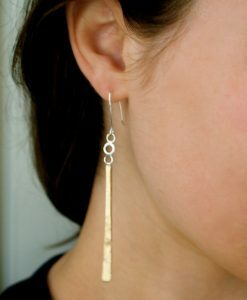 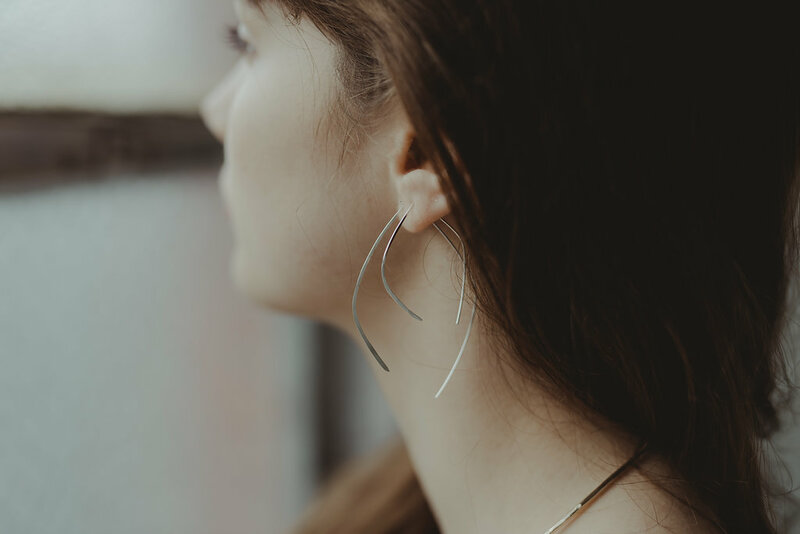 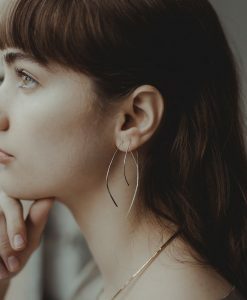 These beautiful hammered hoop earrings are incredibly cute. 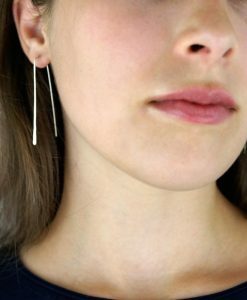 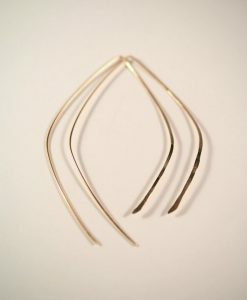 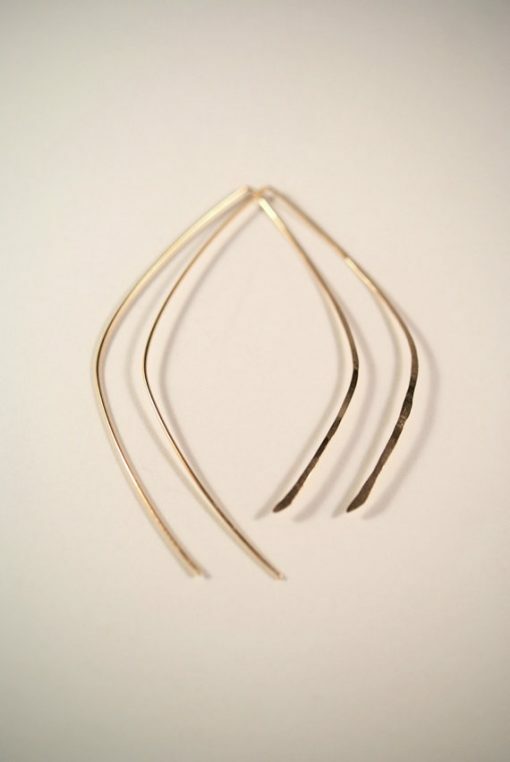 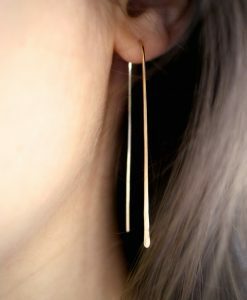 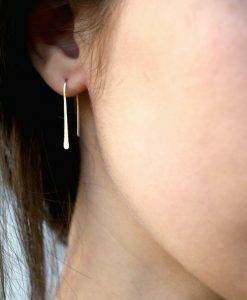 I form these earrings into a very flattering leaf-like, teardrop shape. 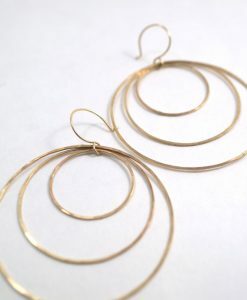 They are casual and can be worn everyday. 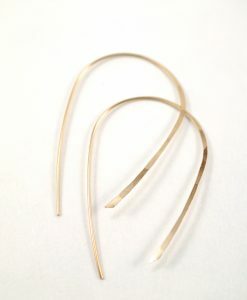 For an extra effect I hammered out one end of each earring. 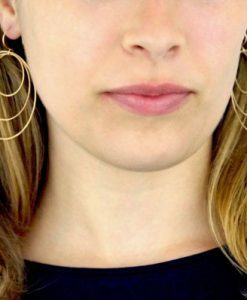 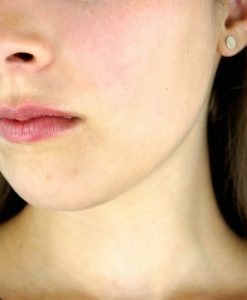 This textured effect catches light well and will highlight your facial features. 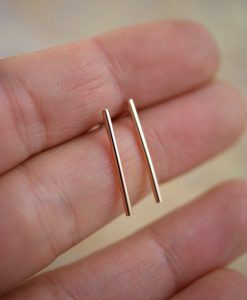 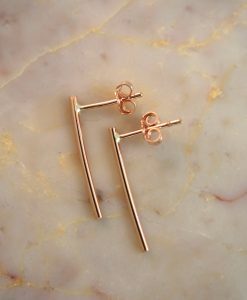 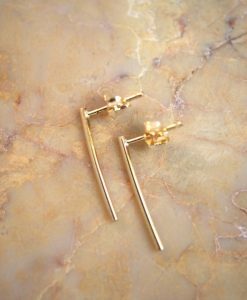 These earrings are hand-crafted out of 14kt gold-filled metal. 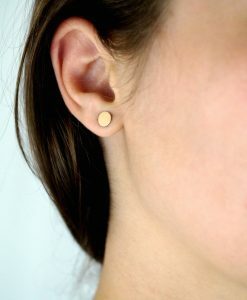 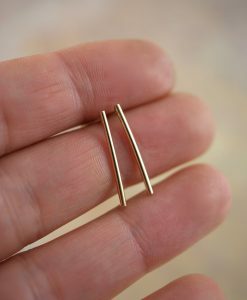 They are approximately 2 1/2 inches long and easily slide in and out of the earlobe. 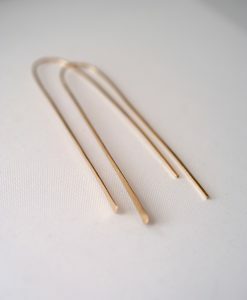 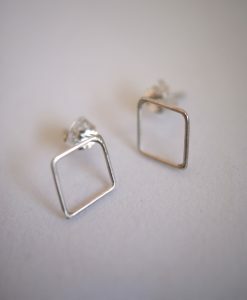 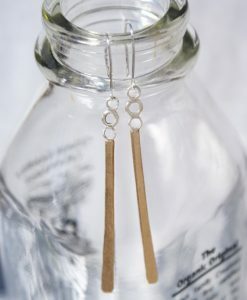 These earrings are also available in Sterling Silver (sold separately, see shop for details).